For many of us, a perfect smile doesn’t happen naturally. Embarrassing chips, stains and other flaws can make you feel self-conscious and uncomfortable every time you smile. Porcelain veneers allow you to get the straight, dazzling smile you deserve and in turn, feel more confident, attractive and self-assured. If you’d like to learn more about porcelain veneers, please call Montane Dental Care today at 510-795-0444 to schedule a free consultation with experienced cosmetic dentist Dr. Jorge Montane. We proudly serve the Fremont, Newark and Union City areas of California. Dr. Montane and other members of our bilingual staff are available to help Spanish-speaking patients. Why choose Dr. Montane for your porcelain veneers? A porcelain veneer is a remarkably thin shell of dental porcelain. Veneers are bonded to the front of your teeth to conceal a number of imperfections in your smile. 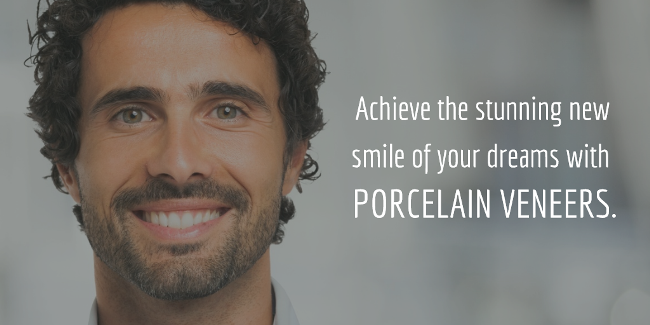 The porcelain material used for veneers can mimic the translucent properties of your natural tooth enamel. Additionally, your dental veneers can be color-adjusted to precisely match the shade of your adjacent teeth. This custom-crafted versatility ensures your veneers are beautiful and natural-looking, seamlessly blending with your existing smile. Due to their versatility, veneers are often included in smile makeovers. In these situations, veneers may be combined with other restorative services that enhance and strengthen your teeth and gums. Dental veneers are sometimes called “instant orthodontics” for their ability to address aesthetic bite irregularities. Depending on the extent of your malocclusion, Dr. Montane may discuss orthodontic options that may be more appropriate for your situation. Porcelain veneers are an extremely versatile and durable cosmetic dentistry procedure. While they can improve some functionality, they are not traditionally considered as a functionally restorative option. More pronounced functionality issues may require a different type of restoration, such as a dental crown. The veneers process involves a series of steps and typically takes about three weeks from start to finish. The first step is to meet personally with Dr. Montane in a free consultation to discuss your smile and all of your treatment options. If Dr. Montane determines that you are a good candidate for the procedure and you elect to move forward, he will take an impression of your teeth which will be used by our cosmetic lab to create a “wax-up,” or temporary veneers. You will also be able to see before-and-after photos generated with SNAP prior to your treatment. The temporary veneers will be important to ensure you are completely satisfied with the look and shape of your new smile before the final porcelain veneers are crafted. Your next appointment with Dr. Montane will be used to prepare your teeth for the final veneers. Also during this visit, your temporary veneers will be placed. The enamel of your teeth will be prepared so that your veneers have an ideal surface to adhere to. When you leave this appointment, you will be wearing a beautiful set of temporaries to make sure that your new smile meets your expectations. You will wear these temporaries while you wait for the porcelain veneers to be created. Once your porcelain veneers are fabricated, you will return to Dr. Montane’s office for a final visit, in which your temporaries will be removed and your gleaming, lifelike new porcelain veneers will be bonded to your teeth. You will walk out of our office with your straight, bright, rejuvenated smile. Similar to your natural teeth, the length of time you can expect your veneers to last depends greatly on how well or not you care for them. With proper care, your veneers can last for decades. Fortunately, porcelain veneers are incredibly easy to care for. In many cases, you don’t need to change your daily oral hygiene routine at all, although there may be some modifications that will need to be made. Properly caring for your veneers is just like caring for your natural teeth. Flossing twice a day and brushing after every meal will help prevent decay from forming and keep your veneers looking dazzling for years to come. For the sake of your veneers and general oral health, we also recommend meeting with Dr. Montane for your biannual exams so he can identify minor issues before they develop into major complications. 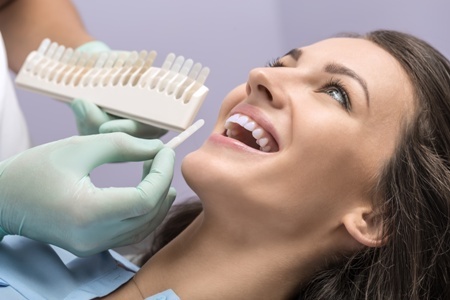 During these routine visits, Dr. Montane will carefully examine all aspects of your veneers and oral condition to ensure your mouth is healthy, strong and beautiful. Depending on your personal preferences and unique circumstances, Dr. Montane can help you determine if porcelain veneers are right for your teeth. If a cosmetic dental problem is making you unhappy with your smile, you are likely a candidate for veneers. If your issues are more than cosmetic, other options may be discussed to ensure you are receiving the best treatment for your needs. It is important to understand that even if you think that veneers may not be right for you because of a current oral health condition such as gum disease, Dr. Montane may still be able to place veneers after treating your other issues. The best way to know if veneers are right for you is to meet personally with Dr. Montane. He will assess your candidacy for the procedure and explain all of your options. At Montane Dental Care, we understand how important your smile is to your self-image, and your choice of cosmetic dentist shouldn’t be taken lightly. You need dental care that is effective, comfortable and customized for your unique goals. You have a lot of dentistry options to choose from, but remember: you deserve the best. Experience: With more than 30 years of experience, Dr. Montane has helped thousands of patients achieve the stunning, healthy smiles of their dreams. His drive for excellence is matched only by his passion for providing an exceptional patient experience. He works to ensure that your results are second to none, and that you feel at home and at ease when visiting our office for your dental care. Comfort: Dr. Montane’s commitment to pain-free dental experiences truly sets him apart from other practices. He doesn’t just want your treatment to be relatively comfortable; he strives to provide a completely pain-free experience. He uses advanced techniques to ensure that you don’t even feel the pinch of the anesthetic being delivered into targeted areas. He takes great pride in being referred to as “No Pain Montane” by his patients. Results: Friendly, compassionate and painless care doesn’t mean much without a track record of successful, beautiful results. Dr. Montane never settles for anything less than the best for his patients. The dental needs of each patient are as unique as the patients themselves. The cost of porcelain veneers can vary based on several factors. The best way to get a clear idea of what you can expect to pay for your cosmetic dental procedure is to schedule a free consultation with Dr. Montane. During your initial veneers consultation, Dr. Montane will fully assess your oral condition and explain all of your treatment options so that together, you can agree on the best course of action. Your comfort, safety and satisfaction are Dr. Montane’s top priorities. He will make sure that you are never rushed or pressured into any decision regarding your treatment. We provide a variety of financing and payment options, so that cost doesn’t stand in the way of you achieving the bright, stunning smile you desire. You deserve a smile you can be proud of. If you are considering porcelain veneers in Fremont, Newark or Union City, please contact Montane Dental Care today online or at 510-795-0444 to schedule a free consultation with Dr. Montane.